iPhone Data Recovery for Windows XP allows you to perform data recovery on devices from Apple. Thanks to the program there is no need to perform jailbreak or reset settings. Use of the utility is justified in case of failure or improper use of options that affect the performance. The software will help restore information, create a Backup point, roll back, print photos and text. All versions of iOS and iPhone smartphones are supported. 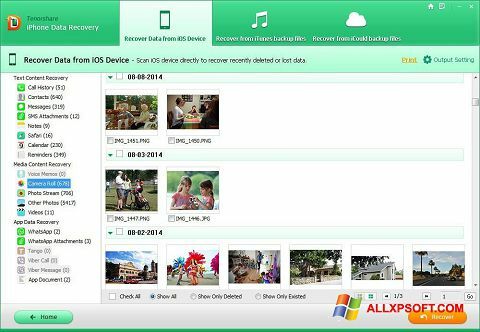 You can free download iPhone Data Recovery official latest version for Windows XP in English.